SILENT & LIVE AUCTION: Indigenous Art, two WestJet flights, and many more exciting opportunities! For the last four years, Indigenous HIPPY has been receiving funding from Indigenous Services Canada’s (ISC) New Paths program. Commencing April 2019, ISC will transfer control of Federal education funding to First Nations. Indigenous HIPPY was notified by ISC that we would no longer be eligible for funding starting April 2019. Although we agree that a new fiscal relationship for Indigenous communities is needed, Indigenous HIPPY, without future funding, will not have the capacity to support the existing sites in British Columbia, Alberta, Saskatchewan, and Ontario and the 10 impending new sites across Canada serving hundreds of families. GRAND CHIEF EDWARD JOHN is a Hereditary Chief of Tl’azt’en Nation located in Northern BC. He has served in many leadership roles at the local, provincial, national and international levels. 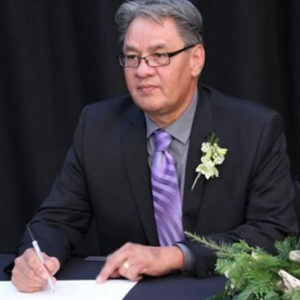 Chief John is currently serving his eleventh consecutive term as an elected leader on the First Nations Summit Political Executive. He is a former Expert Member of the United Nations Permanent Forum on Indigenous Issues and was involved in the development of the Declaration on the Rights of Indigenous Peoples, adopted by the United Nations General Assembly in September 2007. For over 20 years JENNY KWAN has fought for the people of East Vancouver. In 2015 she was elected as the Member of Parliament for the community. Jenny was the BC government’s lead in developing the Vancouver Agreement, a ground-breaking initiative promoting health, safety and well-being in the Downtown Eastside. 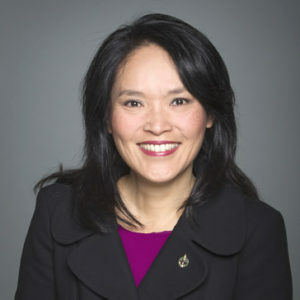 She currently serves as the NDP’s Critic for Immigration, Refugees and Citizenship, as well as Critic for Multiculturalism. She serves as Vice-Chair of the Standing Committee on Citizenship and Immigration. While we continue to work diligently to find a long-term solution, we are asking you, our supporters, to help us sustain Indigenous HIPPY for the 2019/20 program year. Adapted from the HIPPY program in 2002 to suit the needs of Indigenous families, Indigenous HIPPY in Canada uses a culturally relevant curriculum to strengthen familial bonds, Indigenous cultural identity, economic inclusion, and parental agency. By working hand in hand with Indigenous communities, Indigenous HIPPY is in the unique position to play an intervener role through which it supports government agencies and local service providers to meet many of the recommendations laid out in the Truth and Reconciliation Commission of Canada’s Calls to Action. As one of the most researched programs in the world, HIPPY’s well-documented, positive outcomes extend beyond children to parents, families, and communities. Indigenous HIPPY is currently working in 11 communities serving about 200 families in 2018. More than 10 new Indigenous communities (including Tribal Councils) are actively engaged in exploring and starting up Indigenous HIPPY programs. We rely on your generosity — by participating in this fundraising event, by purchasing a table or ticket, and/or through corporate or personal donations. We are grateful that you have entrusted us to continue serving Indigenous families and communities to build positive experiences in education and to strengthen their capacity to support learning.